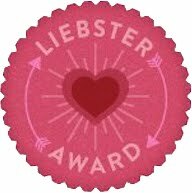 So anyway, the Liebster award is apparently awarded to bloggers who have under 200 followers. That is definitely me. I love my 55 followers, they make loving this even sweeter. In order to accept this, here are the things that need to be done. I am a highly independent person even though I love being around other people. The first sentence out of my mouth was I can do it myself! I just finished watching Lost on Netflix (no commercials or waiting rocks!) and I feel lonely without the characters now. I need a daily Sawyer fix. I love DIY projects. It turns out this makes me more like my father than I ever thought. 1. Why did you start playing with polish? I was on pinterest and saw a tutorial on how to do nail designs using tape. It completely snowballed from there! 2. What is your favorite thing to do with your nails? 4. Favorite thing to do on your day(s) of relaxation? 6. What is your #1 Lemming polish? 7. What inspired you to turn your polish hobby into a blogging hobby? I needed to find a way to share all of my thoughts and ideas without making the people around me crazy with my non-stop talking. I also didn't want to alienate some of my guy friends on facebook by posting pictures of my nails all the time. 8. If you could design your own indie polish, what would it look like? 11. Favorite polish you own? Where is one place you would go if money weren't an object? What are your three favorite things to do when you have no other obligations? What is your most prized possession (not a person)? If you could design your own polish line what would it be called and what would be the first collection you would create? What is your go to color? Where do you get inspiration for your manicures? Do you own any indie polishes? If so, what kind? If not, what is the first one you would buy? I chose all of these blogs because they are all ones that I look forward to seeing new posts from whether it be because they have a great eye for color or are great nail artists. Please go and check all of these ladies out! Thank you again to Jess from Too Cute-icle. I can't wait to read everyone's answers and to learn more about these bloggers. Your welcome :-) I really do love all of your nail art! I just nominated you on mine as well, I hadn't seen this. Love your blog, here is your nomination (no need to do it over again)!